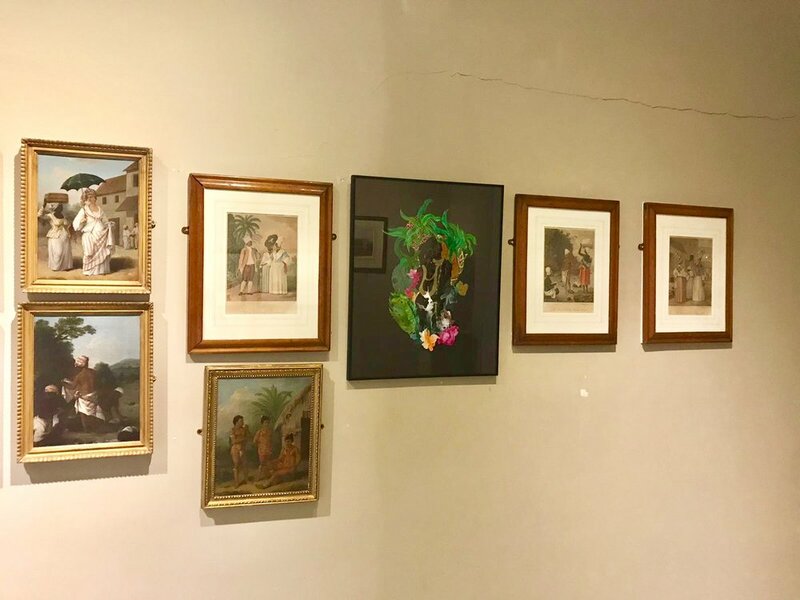 "Hello, My Love" is installed in the BHMS's Cunard Gallery, disrupting a wall of lithographs and original prints by the Italian painter, Agostino Brunias (c. 1730 – April 2, 1796) , whose body of work typically showcases the "frivolities" of 18th c. plantation life in the West Indies. Absent from these works are the black bodies who toiled in the sugarcane fields and domestic settings that made such frivolity possible. 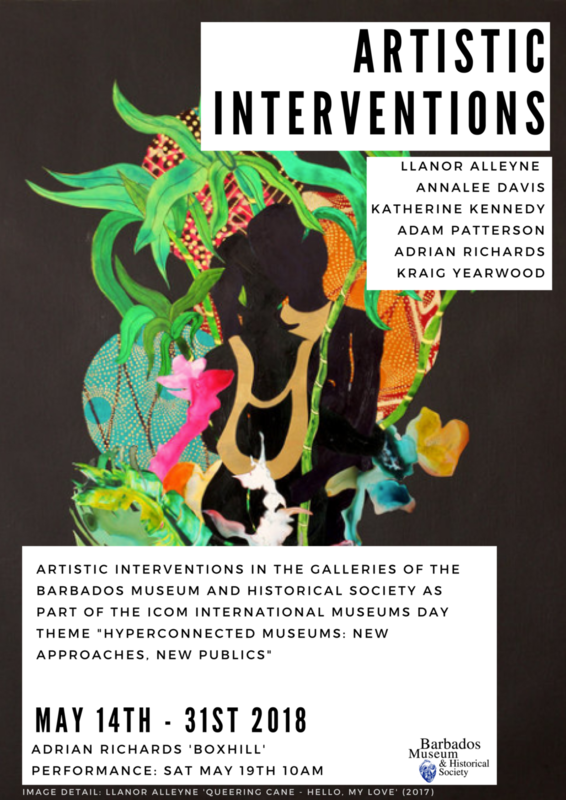 In inserting "Hello, My Love" into this collection, I'm challenging the viewer to consider who is absent from Brunias' work as well as the life these missing people might have been exploring outside of serving the idyll/idle pursuits of the plantation class.